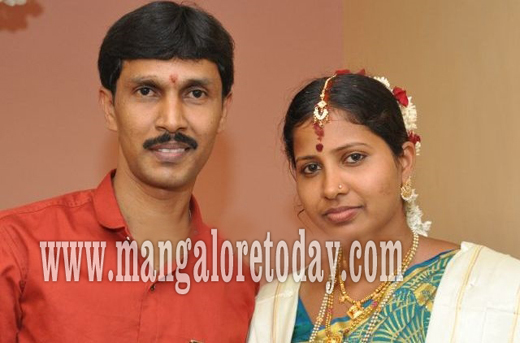 Kasargod, Feb 15, 2017 : In yet another tragic turn of events, days after 26 year old Nandita of Nagori in Mangaluru who was set to get married on February 13, ended her life by hanging herself, her would-be husband too followed her by ending his life in a similar way at Chaliangod on February 15, Wednesday. The girl’s family had even approached the Kankanady Police Station demanding a thorough investigation. Meanwhile, Chandrashekhar, who was a fruit seller near the Kasargod KSRTC bus stand had left home on February 14, Tuesday night stating he would be going to Chemnad but never returned home. Even calls to his mobile phone were not received. Finally, his body which was hanging from a hoarding was spotted by some passersby on Wednesday morning. Bekal Police have registered a case and are investigating. Taking extreme step does not give any solution to your problems but just pain to the family.